I spend a lot of time listening to podcasts as I commute to work by bike or train every day, selected from a mix of gaming, science and parenting subjects. It's a special treat to find a 40k podcast run by a likeable group of people, but that stays on topic and is full of good advice and interesting stories. The following list gives a brief review of podcasts that I have subscribed to (at least for some time). all 40k all the time! Hosted by Blitz and The Professor, these guys really love their 40k! They talk about the games they play and small tournaments that they organise. Both hosts come across as very friendly with a great sense of humour. They will also include reviews of other games from time to time, but don't worry - this is definately a 40k focussed podcast. 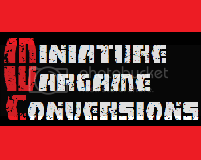 They also talk a lot about the hobby side, providing guides on different conversion and scratch hold techniques. This is a pure 40k podcast hosted by Karl and Geoff. They have a great easygoing manner - I kind of get these guys confused with The Battlezone! These guys focus on the fun side of the hobby, playing armies that are thematic. They have a contagious enthusiasm and seem to throw themselves into their hobby. They do a lot to get involved in their local community, but also seem to play a lot of games at home - I think one of them has four tables in his house! They also have their own forum which I have not frequented but is probably worth checking out. These guys have recently become the official podcasters of Adepticon! They will be broadcasting interviews and updates from what is the biggest 40k event in the US. They will also be video streaming some of the bigger games from the top tables! I'm looking forward to this. A new predominately Australian podcast, with an American host thrown in to mix it up. They have only done a couple of podcasts so far, and are still figuring out their style. They go into a lot of the fluff and are focussed on building fluffy lists. I have enjoyed part of the show, and been annoyed by a few things too - all the Aussie jokes for one are just boring. They have had a few technical difficulties that I am sure they will figure out. With a new podcast, if you can see any potential at all, it is important that you give them a go for at least four or five episodes. Podcasting is difficult and they will have a lot to learn! Unfortunately the podcast has ended due to a disagreement between the hosts. Apparently some of them are moving on to producing a video podcast. However it is definately worth downloading the "back issues" whilst they are still available. This is definitely not PG, but the hosts are very funny and it was one I always looked forward to seen downloading in iTunes. They love the hobby and have a lot of experience between them. They are GW fan boys but remain levelheaded and inciteful. This podcast includes my favorite episode ever - the "Army in a Weekend". Over the course of 54 hours the boys each build a 40k army to a tabletop standard, starting with all models new-in-box! They check in every six hours and update us with what's going on, and get very little (if any) sleep over the whole weekend. Absolutely hilarious. An Australian Podcast coming out of Perth, Western Australia (where I grew up!). The two hosts, Luke and JJ, are funny guys with their own idiosyncrasies (love the puns!). This monthly podcast covers a lot of different games systems - mainly 40k, Fantasy and Blood Bowl, but also Epic, Malifaux and Lord of the Rings. These guys buy a lot of models, and have in-depth knowledge of every part of the Games Workshop hobby. They have a competitive approach to the games - they play to win! Expect lots of good advice about what models are the business and how to improve your hobby skills. This is my favorite 40k podcast, delivered each Monday in time for my morning jog! Neil is the driving force behind this and he does a superb job, doling out knowledge and perfectly analyzing units and game situations without getting caught up in the hype. Neil plays Orks to win without being at all aggressive or tense. He would be an awesome opponent to play against - you know that you would get a very challenging and fun game. Neil is assisted admirably by Pat, who is apparently a very lucky Daemon player. Pat interviews 40k internet celebrities and provides a more casual viewpoint. There is actually a crew of about six people involved in the podcast. They are apparently the only 40k players in their area so they must be very used to each others play styles! Since it began the 11th Company has been packed full of content, and done in a very professional manner with great sound quality. Check it out! The official podcast of the Overlords 40k club in Daginham East London. At first I was put off by the bad sound quality and lack of substantial content. I unsubscribed but came back for the Dan Abnett interview only to discover that they had improved dramatically. This is fast becoming one of my favourites - the hosts are all relaxed and funny with their own quirks. They often have guests on too. These guys are the real fluff gamer deal, totally uninterested on building a list from a competitive viewpoint. This is the polar opposite of the 11th company. Bizarrely, Pat from the 11th Company is a regular guest on the show - and he fits in well. They focus on their gaming experiences, news, running the club and fluff. They have a hilarious segment where someone nominates something they think should be dropped from 40k and the rest vote yes or no. There is lots to enjoy here that is not covered by other podcasts - if you are happy to listen at their relaxed pace. A newish pure 40k podcast, that lacks in interesting content. They talk about tournaments they have played in and get angry about various opponents at times. These guys aren't very professional, although funny at times they can also take it too far. They think its pretty funny to burp and fart to their hears content! I did find them funny at times but it got old quickly. 40k Radio is known as the first 40k podcast (although Dice Like Thunder dispute this!) but shut down this year under controversial circumstances. 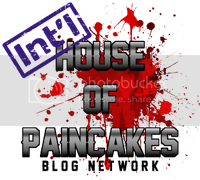 It has been bought by Romeo of Battlefoam and resurrected under the same name, but with a new group of hosts - who all work at Battlefoam I believe. Romeo is also or of the hosts. Basically this is a completely different podcast, though not an ad for Battlefoam per se. They cover all aspects of the 40k hobby but I find them brash, and not really very good at giving advice. They have this exclusive forum that you have to pay a yearly fee to access - which there is no way I am going to do - then talk about stuff on the forum which you can't access. And they seem to have little idea that there is an audience out there that is not in America. These guys are like the most relaxed gamers you will ever encounter. They are very into the hobby side of gaming, converting all their models and spending a lot of time on the models they paint. They don't really have a good idea of how to play 40k competitively. They both started blogging before the podcast, and have a segment dedicated to blogging tips that has had some good content. I stopped listening once they started getting obsessed by Malifaux, but in truth they were starting to bore me before that anyway. This podcast recently celebrated its 100th episode, then promptly shut down! However they are starting a new podcast "The Eternal Warriors". I used to love this back in the day when the originator Mack was the lead host. Once he left the rest of the guys didn't manage to keep my interest up. They give good advice at times but often say things that suggest they don't understand the 40k rules as well as I would like. Some of the hosts can be a bit aggressive at times. Still there is a lot of good content here and it is especially worth going through the back episodes whilst they are still available. I like Richard and his laconic style. The Eternal Warriors is also going to cover War Machine. I will give it a listen and see if it is more of my style. I do like what Richard talks about most of the time. I think this started out well, but the quailty of content gradually deteriorated. Its hosted by a group of four or so guys, although most weeks not all of them are avaialble. I remember enjoying the earlier episodes as they went through each codex and gave their analysis. At some point I realised that I just wasn't getting much use out of their commentary, and found some of their aggressive posturing very offputting. Its a pity as it showed promise early on. I only have mobile broadband at the moment with a small download limit each month, but you are making me want to waste it! Heya Ty. I have written a good chunk of the article mate, but you need to send me some pics before I will publish. Either that or I can take some photos at the Bunker. Cool, yeah, been adding some more colour to my Trolls/Kans, that would be cool. Thanks, I'm trying to bridge out from the 40K radio at the moment. While I still listen to them, they need to find their groove. Oops I missed "The Overlords" - review added to the main post. Sorry guys! Thanks for the mention Plague Marine. Myself (Carl) is the one with 4 gaming tables at my place. I have room for a 5th but just haven't gotten around to building one. I think you will find we are going to be adding a segment to the show soon that might be right up your alley. Stay tuned. Probably will start launching it around episode 19 or so. Anyway - thanks for the kind words - and we hope you love the Adepticon coverage!